Communication and collaboration are integral to business success. Phone and mobile technology have both evolved extensively in the past few years, making it easy and efficient to stay connected without being limited by your location. VoIP phone technology is one of the newer advancements in voice communications that is swiftly gaining popularity for business use due to its powerful benefits and low costs. As a result, VoIP phone apps are quite plentiful in the business communication market, which can make it difficult to choose the best apps to pair with your VoIP service. Here are our favorite low-cost and free mobile VoIP apps for business that offer robust features to support your vital business communications on the go. Viber is one of the leading VoIP apps for Android, and makes it possible for you to make and receive HD quality voice calls and text message people directly from the app. You can create group chat sessions with up to 100 participants, and the app can be configured to send you push notifications to help you stay connected and up to date on the communications happening through your VoIP app. Viber also offers the ability to share or send documents during your voice or chat sessions. Viber only works app-to-app, so anyone you call or text must also have the app installed to receive your communications. Skype is a well-known and loved app for chatting and video conferencing. Skype is free, and is integrated with Microsoft and Facebook to make it easy to call, chat, or video conference with all your contacts. You can also purchase affordable credits to call landlines directly from Skype as well. Skype can accommodate both large and small business communications with the ability to have group chats with up to 300 participants and hold video and voice calls with groups of up to 25 people. Skype works great on both Apple and Android devices. If you need to develop deeper connections through communication with your social media contacts, than Nimbuzz Messenger is a great app to pair with your VoIP service. The app integrates with your social media accounts, and makes it simple to call or text those contacts. You can also buy credits to call landlines from the app if needed as well. Sipmobile Android is a very popular VoIP app that allows you to make and receive free calls in the US and Canada. Their communication options of voice, video, text, and messaging are all secured with cryptographic software that protect your communications over 3G, 4G, and Wi-Fi. Sipmobile also has VoIP apps for IOS and Windows. Google Hangouts is a great free VoIP communication app option with mass appeal and connective ease. 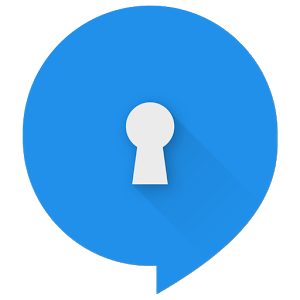 Most Android devices come with this app already installed, and it can be used to call, text, or chat with anyone who has a google account, which will cover the vast majority of your contacts you’ll need to communicate with for business or personal reasons. Google Hangouts works on both Apple and Android devices. Signal Private Messenger is a mobile VoIP app that is growing in popularity quite quickly due to the level of security and privacy it offers for your communication needs. This app focuses on privacy and links to your smartphone so you can call or text anyone in your list of contacts, safely and securely. WhatsApp is a newer app in the VoIP realm, but it’s gained popularity very quickly by amassing user numbers that rival Google and Facebook. The app will not let you call or text landlines, but you can call or text anyone with the app, no matter where they are, for free. iCall is a VoIP app that was designed to meet the IP phone needs of small, but growing businesses. The free version of iCall allows you to make unlimited calls to other iCall users, and for $2 per month you can upgrade and call any landlines or mobile phones through the app as well. iCall is one of the few apps that accepts Bitcoin payments, so if you prefer that payment method, this app supports it. 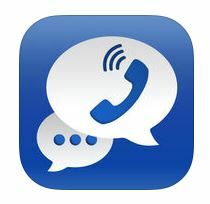 Talkatone is a good mobile VoIP phone app for iPhone or iPad. This app relies on your data or a Wi-Fi connection to make calls to other users, and you can purchase affordable credits to use for calls made to landlines and mobile numbers. If you use the Talkatone app, then you’ll certainly want to use it in conjunction with GV Connect. Together, these two apps make up one of the best IOS VoIP app offerings. GV Connect integrates with Talkatone and allows you to track your call history, send test messages, and read or listen to any voicemails you receive. This is a paid app, but it will only cost $2.99 to purchase the app from Itunes and pair it with the free Talkatone app. Rebtel is a relatively new VoIP app for Apple devices, and it is one of the few apps that does not require credits or monthly payments to make and receive calls. This is a great option for business travel, because as long as you have an internet connection, you can use Rebtel to make calls for free. There are many apps available to support your VoIP business communications on the go, and many of them are free or very inexpensive. You can benefit from trying out different mobile VoIP apps (free and paid) to see which ones best fulfill your business collaboration needs, and these app recommendations are a great place to start enhancing and customizing your VoIP communication.